This MELA vanity features a matte creamy finish. 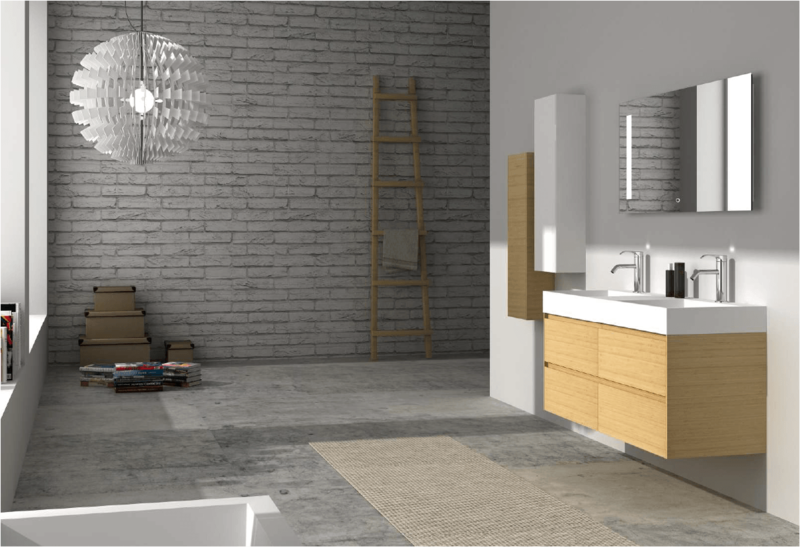 Its marble top with white porcelain basin will add style to your bathroom. 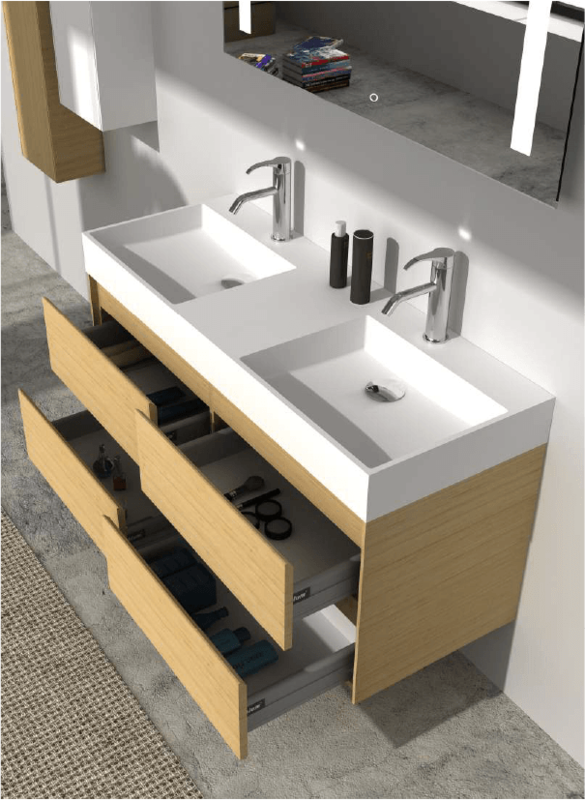 Featuring soft close drawers for a touch of style.